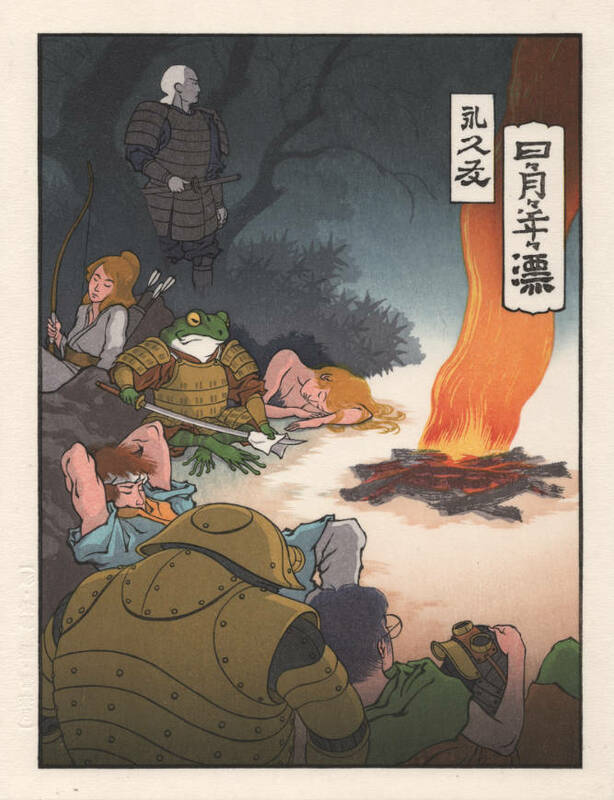 Right Cartouche: "Wandering through days, months, and years"
Comments from Jed: This is a unique print in the Ukiyo-e Heroes collection. While many of our designs depict action and conflict, this piece instead features a quiet moment shared between friends. We hope this scene reminds you of happy memories of evenings spent with friends, sitting by a glowing fire.